March 30 – April 1, 2010 at the San Jose, Marriott, CA. 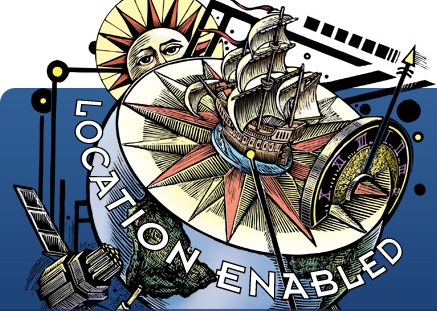 Location awareness is everywhere now, baked into our desktops, iPhones, cameras–even our oil rigs–right from the start. We expect our tools to sense and interpret data to help us locate and visualize everything from a new restaurant to the source of a new millennium plague. Who is leading the charge to the next mapping frontier? How are companies large and small jumping in change the rules in mid-game? And where is the money? O’Reilly Media is seeking proposals for sessions and workshops from the builders and innovators in the location industry. Are you a mobile maven creating rich information overlays? A GIS veteran mashing up temporal data with maps? An open source developer hacking up a cool visualization tool? A CIO using location information to revamp a public transit system? If you’re passionate about enabling location awareness in our lives and our work, we want to hear from you. Submit a proposal to speak at Where 2.0 by October 13, 2009. Where 2.0 is one of the world’s foremost events dedicated to exploring the emerging technologies in the geospatial industry. At Where 2.0, we expose the tools pushing the boundaries of the location frontier, track the emergence of new business models and services, and examine new sources of data and the platforms for collecting them. Happening March 30-April 1, 2010 at the San Jose Marriott in San Jose, California, Where 2.0 brings together the people, projects, and issues building the new technological foundations and creating value in the location industry. Join with other developers, technologists, CTOs, researchers, geographers, academics, business developers, and entrepreneurs to debate and discuss what’s viable now, and what’s lurking just below the radar. Learn more about Where 2.0. The submission deadline for all proposals is October 13, 2009. Early registration opens in December 2009. Standard registration begins February 2010. More information at O’Reilly . . . This entry was posted on Thursday, August 20th, 2009 at 7:00 am	and is filed under General, Geography, Mapping, Mashup, Promote. You can follow any responses to this entry through the RSS 2.0 feed. Both comments and pings are currently closed.